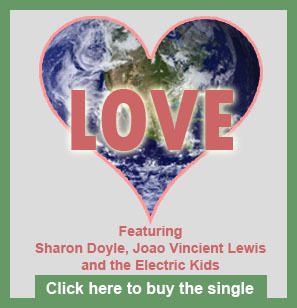 LOVE Records is the brainchild of Producer Sharon Doyle. LOVE Records is about the Love we all have for planet Earth – Love Our Vulnerable Earth ©. The Label's new Album "LOVE" is all about preserving the environment and Sustainable Energy. It features artists in Jazz, Jazz Fusion, Rock, R&B, Funk, Pop, Heavy Metal, Folk, Blues, Techno, Classical-Orchestral and Hip-Hop. We, the people, need to be more in tune with the world around us. It is no longer a select few who can implement change. It is up to each of us. Find out more about LOVE Records on one of our social sites. Click the icon below to be taken to the page of your choice.